When sewage and waste products get into the surface water drainage system it can create serious pollution issues in lakes and reservoirs; we help private and public owners trace the source and clean up the mess. It can be as simple as a thoughtless moment pouring motor oil down a floor drain in the garage, or a more ongoing problem such as a new extension or a new build property being set up with waste water going into the surface water drains. Using a variety of techniques and technology we’re proud to have a 100% track record at finding the source of pollutants, repairing the problem and cleaning up the pollution itself. Working across Kent and London, we provide a comprehensive pollution control service that's proven to eradicate pollution in all drainage systems. So call us today on 0800 781 8922 to arrange your no obligation pollution control quotation. We use a variety of techniques to trace pollutant sources utilising extensive knowledge of the local pipework systems, CCTV and sonar surveys, dye tracing and simple legwork lifting manhole and accessing confined spaces to work out where polluted water is coming from. Fully certified to access waterways, safely set up street works and carry out our services in confined spaces including usage of breathing apparatus if our gas monitors detect high levels of CO2 or other harmful gases. With offices throughout Kent, The South East and London and a 24/7 emergency call out service we work for local authorities, commercial businesses and private individuals tracing pollution sources and applying the repairs, relining and installation service required to prevent problems reoccurring. With dedicated attention to health and safety, £5m liability insurance and a highly experienced team of engineers we’re proud of an exceptional pollution control service. 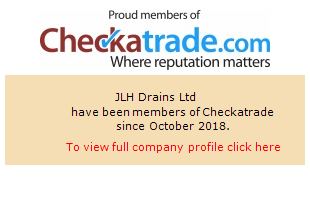 Whatever your pollution control needs for surface water drainage systems, JLH Drains provide a complete solution throughout the Kent, Surrey, London and Sussex regions; contact us today and we can arrange a no obligation survey and quotation with one of our expert pollution control team. Working throughout Medway, Kent, London, Surrey and Sussex, we provide homeowners and commercial clients with the very best in affordable, reliable and fast blocked drains repairs. Through comprehensive CCTV drain surveys, we will quickly and easily identify what the cause of your drainage problem and where it is. We carry out drain surveys for clients across Kent, Medway, Sussex, Surrey and London.